Bandai Namco will host a free network test for Dark Souls: Remastered across PlayStation 4, Xbox One, and Switch prior to the game’s launch, the company announced. 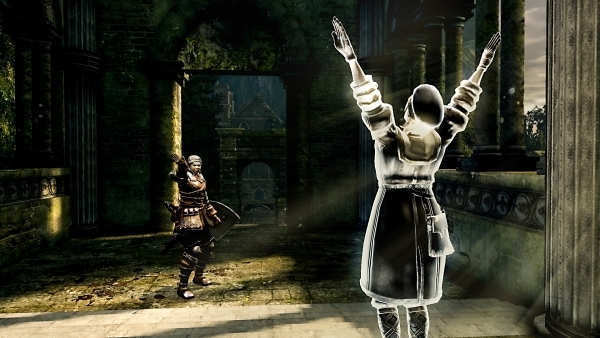 The free network test will give players the ability to play a part of Dark Souls: Remastered prior to its launc hand test the game’s unique online features. Bandai Namco also announced that it will release a “Solaire of Astora” Amiibo figure exclusively at participating GameStop locatios in the United States. By tapping this Amiibo to the Joy-Con or Switch Pro Controller, the “Praise the Sun” gesture can be used with “reckless abandon” from the start of the game. The Amiibo will cost $15.99. Dark Souls: Remastered will launch for PlayStation 4, Xbox One, Switch, and PC on May 25. View a pair of screenshots and the Amiibo figure at the gallery.